If you read our Daily Currency Note, you’ll know that we focus on the pound, euro and US dollar. However, it’s sometimes useful to take a look elsewhere – in this instance, ‘down under’. 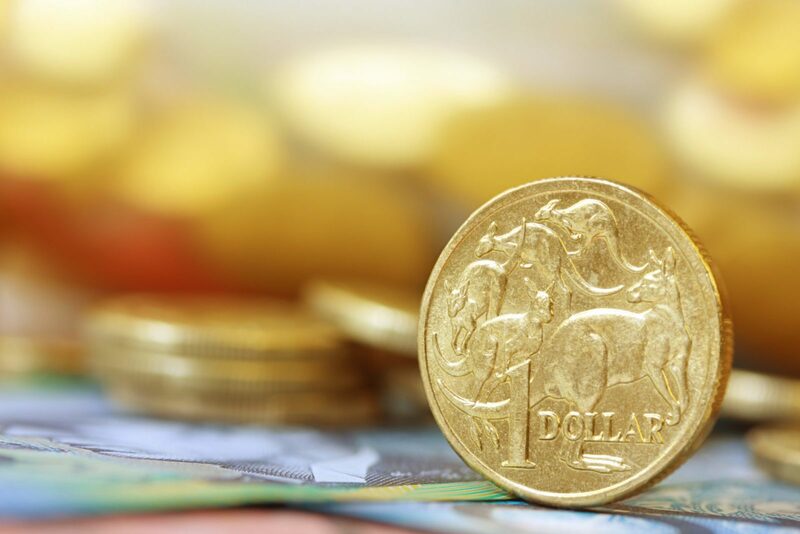 The Australian dollar has been under great pressure so far in 2019, responding to events in the Australian economy, the US-China trade war and global growth as a whole. Back in January, the Aussie dollar dropped to a 10 year low against the greenback due to poor manufacturing growth in China. Earlier today, the Aussie strengthened due to Chinese manufacturing PMI rising to 50.5 in March. China accounts for two-thirds of all of Australia’s trade, so it is safe to say that the Aussie dollar is incredibly exposed to China’s economic performance. Although China’s economic slowdown is partly due to a general decline, tariffs from the US haven’t helped. At the end of last week, face-to-face talks resumed for the US-China trade deal. So far, the rhetoric surrounding the talks has been pretty positive, but we are yet to see any concrete evidence to support this positivity. Remarks from US Trade Representative Robert Lighthizer also call progress into question, as he suggested that they’ll “find another plan” if the deal’s not right. Overall, the outcome of these talks is looking quite unpredictable and any progress, or lack of, is very likely to have a knock on effect to the Aussie dollar. Definitely one to watch. Another factor weighing on AUD has been the minutes from the Reserve Bank of Australia’s meeting, which were released at the end of March. They highlighted concern with regards to the Australian housing market, stating that there had been a fall in the supply and demand of home loans. Despite weak economic data, reports also showed a strengthening labour market. The RBA has adopted a neutral, economic-data-dependent stance to interest rates, which is not so different to the newly-adopted position of the U.S. Federal Reserve. However, investors are currently expecting two interest rate cuts before the end of 2019. A further meeting on monetary policy is due to take place tomorrow. Last week, the Royal Bank of New Zealand surprised the market by shifting to a dovish stance, suggesting that the next rate will almost certainly be lower. This caused the Aussie dollar to weaken. With a growing list of Central banks around the world calling for lower growth, the RBA could do the same tomorrow. Although no-one is expecting a rate cut yet, a very dovish statement could still weaken the AUD. Tomorrow we’ll also see the release of the federal budget, which is expected to announce tax cuts for low and middle income earners. As we have seen in the last few years, the effect of Brexit reaches far and wide. Due to the ongoing uncertainty, with no-one knowing what will happen from one day to the next, all currency pairs related to the pound are volatile. This includes the Australian dollar. The Australian dollar isn’t tied to the pound in the same way as the euro and the US dollar. However, GBP/AUD is still affected by the twists and turns of ongoing Brexit developments. This has caused the pairing to become volatile recently, something that could continue in the coming weeks. The next few days are likely to be critical in shaping the future direction of GBP to AUD and any sign of a leaving with a deal could be positive for the pair. With so much uncertainty, however, and the possibility of a no-deal still on the table, it is impossible to predict how the pairing will fare. For more on currencies and currency risk management strategies, get in touch with one of our Smart Currency Business traders today on 020 7898 0500.